Son, grand-son and great grand-son of a winemaker, his childhood was punctuated by the work of the vineyards. Even when very young he participates and helps his father and his grandfather. After his studies in the 'Viti' (the wine high school of Beaune), he goes to the USA for 6 months and works for 2 months in a winery in California. On his return in 1978 he settles as tenant of his grandfather and makes wine from his first harvest. Today, more than 30 years later, he still remains passionate about his work, which he loves to share and pass on. 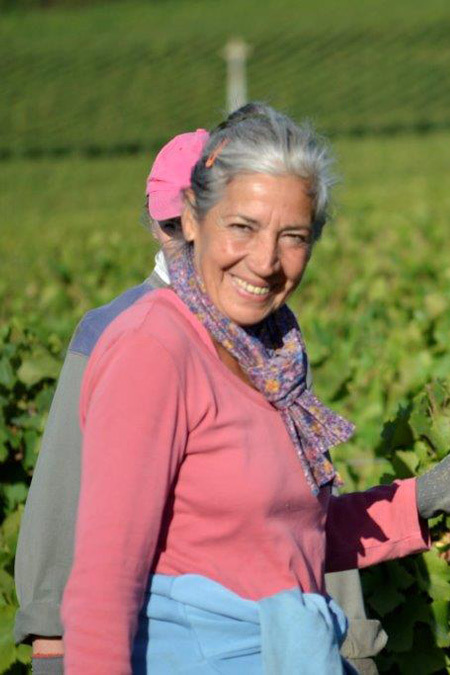 On coming to Burgundy, she married not only a wine grower and his passion, but also an occupation and a region. To leave the city life of the Paris region to settle down in a small Burgundian village when one is 20 years old is to completely overturn one’s life..
With Eric, Dominique learns the work of the vineyard; together they prune, attach, straighten, tie up the vines….make and mature the wines. She has taken several courses; in business, computing and tasting. Their youthfulness in the early 1980s, propels them forward, it gives them wings. They have minds full of projects. 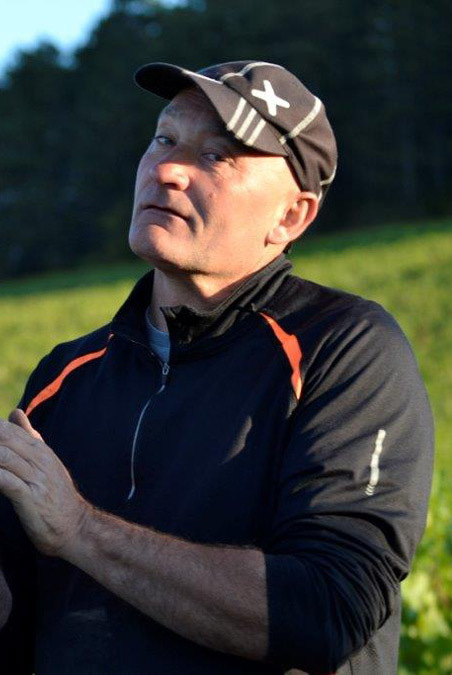 They set up a development plan through which they expand and re-plant half of the domaine and invest in equipment. In 1990 they create a society and she takes on the status of joint manageress. Today she is responsible for marketing, customer reception, order tracking and organization of the harvest. 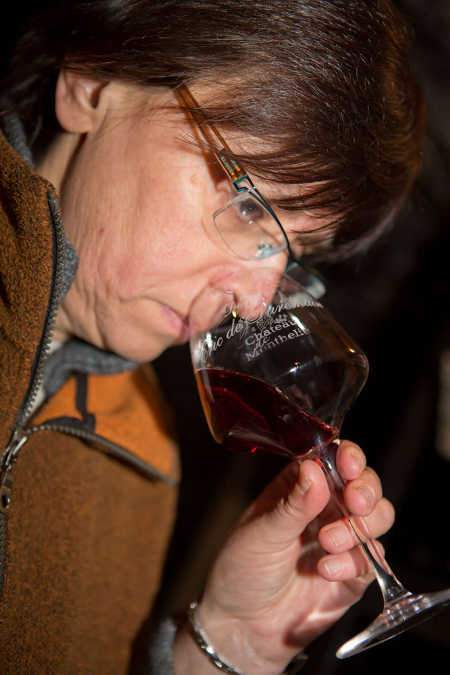 She joined the domaine in 1994. Her versatility suits our structure perfectly.. She participates in all the manual labor of the vineyard, the cellar and the bottling. She is responsible for the preparation of the orders. 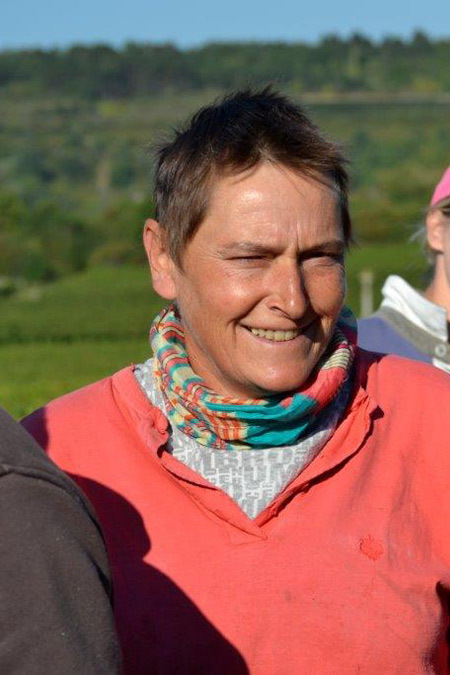 During the grape harvests she manages the team in the vineyards. 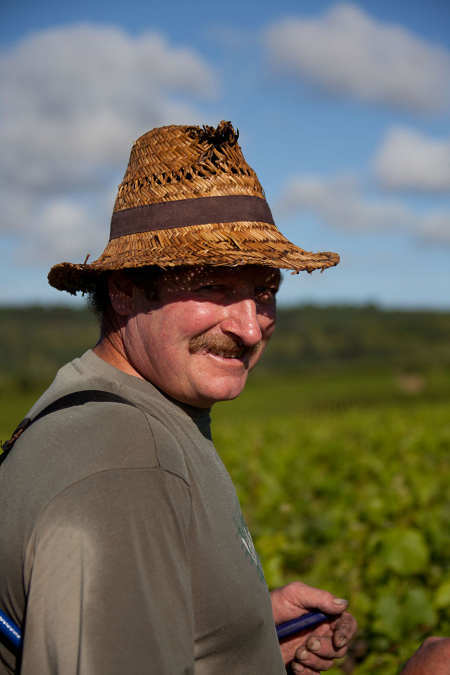 Arnaud join us the 1st of September 2013, just before the harvest. 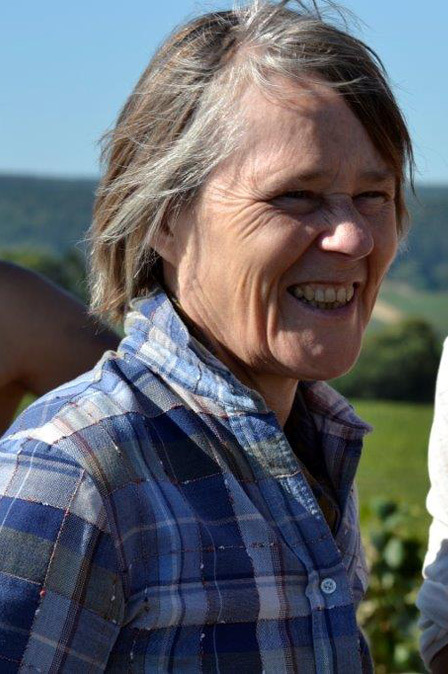 She joined the domaine in 2004. She works for a few hours in the office where she takes care of the accounting and of reception. We also give some plots of land in the vineyards for others to work. The system of piecework is developing a lot in Burgundy.. The workers remain independent and responsible for their work. They manage their hours. They have to carry out all the manual labour of the vineyard. They have employee's status; the payment is calculated according to the area worked.